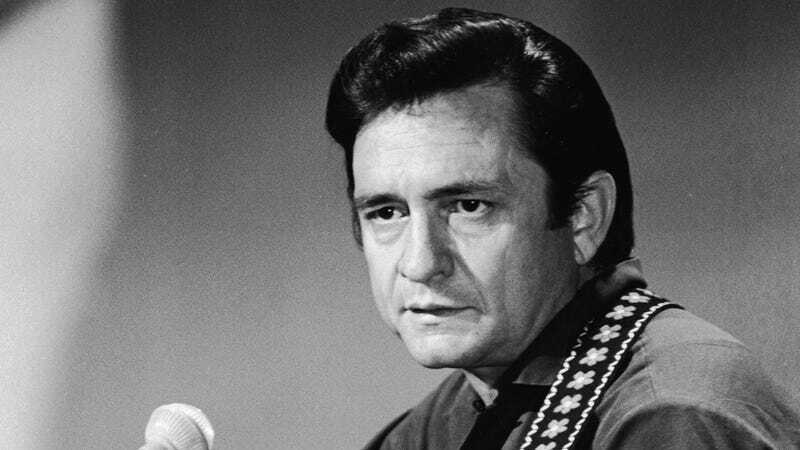 In 2016, Johnny Cash’s family released Forever Words, a collection of unpublished poetry that they found among his possessions after he died, and now they’ve teamed up with a number of musicians to try and reinterpret some of those poems—and other artifacts found in Cash’s papers—into proper songs. The artists involve include Kris Kristofferson, Willia Nelson, Brad Paisley, T. Bone Burnett, John Mellencamp, Elvis Costello, and Jewel. There’s also a track from Chris Cornell, coming about 20 years after Cash covered Soundgarden’s “Rusty Cage” for his album Unchained, with a press release explaining that Cornell’s contribution was one of the last solo recordings he made before his death. It’s also worth noting that the people behind this collection specifically say that they didn’t want to create a “lost” Johnny Cash album, so that’s not really how this should be perceived. Even the songs directly based on Cash’s poems are just that, meaning he most likely never planned for this stuff to be turned into songs more than 14 years after he last tossed it all into boxes. You can see a trailer for the album below, along with behind-the-scenes glimpses of some of the artists involved, and the musical take on Forever Words will be available on April 6.